We are so excited to welcome you to the incredible team of BoyMoms and BoyDads behind the scenes here at The MOB Society and Raising Boys Ministries! You’ll soon discover that we operate like a family here — praying for and encouraging one another. And we love supporting each other’s personal projects and endeavors — in fact, many connections and partnerships have been formed within the RBM family! We are so thankful for your words and your heart to bless this ever-growing BoyRaising community! And it is our desire to be an equal blessing to you! To come alongside each team member and help them grow on their journey as a writer. Working together you will craft an article that is excellent in its execution and effective in its impact. To maintain the creative voice of each individual writer while bringing their article and message inline with the over-arching voice and mission of Raising Boys Ministries. The survey below should only take a few minutes of your time and allows us to keep your information up-to-date so we can connect with and serve you better! As a thank you for filling it out, you’ll also receive complimentary access to our BoyRaiser Tribe program for the duration of your time on the Raising Boys Ministries team! Please also know that the information shared here is completely confidential. Please let us know if there is anything we can be praying for you or your family in this season! Again, the information shared here is confidential and will only be shared/prayed for amongst our small leadership team! For FREE?! Yes, I’d love to join The Tribe! Again, the information shared here is confidential and will only be shared/prayed for amongst our small leadership team! Thanks for taking the time to fill it out! …this is where we post prayer requests, funny BoyMom stories, brainstorm about upcoming projects, and share announcements about the ministry! 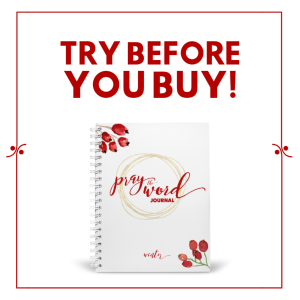 …this digital resource is filled with practical, spiritual, and hysterical wisdom from expert BoyMoms and is exclusively available to our newsletter subscribers (and you)! Content must be original; not found anywhere else in print or online. Content must be well-organized with clear section headings throughout article for easy reader scanning. Content must have a minimum word count of 300, not to exceed 700. Content must not include emoticons, colored text, etc. Content must be anecdotal, practical, and resource rich. Each article may include up to 3 link-backs to your personal blog — we also encourage link-backs to other MOB Society articles! Please do not include graphics in your article — all images will be designed in-house to maintain brand consistency. Raising Boys Ministries has selected the ESV version of Scripture as our standard when quoting verses — please include this version and the appropriate references in your writing. You are free to use an alternative version in conjunction with the ESV to further expound and explain your point. Not all stories of raising boys are appropriate for The MOB Society blog — please be mindful of which pieces should be reserved for your personal blog or journal. Additionally, consider gaining permission from your son before sharing a story that involves him — especially those that touch on subjects of discipline, heart issues, and even humorous anecdotes. Our sons should have some level of control over the shaping of their digital stories and online presence. All articles will be submitted via Google Documents — very important—please see submission video above for details. For each month you are writing, an article template will be emailed to you with space for a title, main sticky statement, application/action steps, and additional resources — please make sure to include all of these elements in each article. This template will become your article and will be used for any edits and revisions. *If you have extenuating circumstances that may prevent you from submitting your article by the due date, please connect directly with our Editor-in-Chief, Nate McCloskey. Often, he can extend grace and find a workaround for you, but only if you communicate with him in a timely manner. **If edits are not completed/approved by the 22nd of the month they are due, our Editor-in-Chief will make other arrangements to cover the spot or leave it empty. 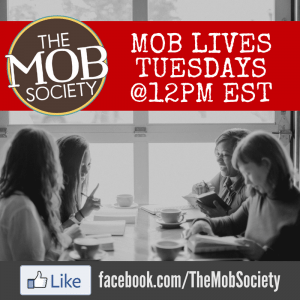 On the day your article goes live, please respond to any comments from our community (this includes on the article itself and on the 3-4 updates we share on The MOB Society Facebook page) — this quick response time is important so our readers feel engaged with us as a team. If you have an overwhelming response, please let our Editor-in-Chief know and he will help coordinate responding. On the day your article goes live, please write an introductory teaser post on your personal blog or website and direct your readership over to the original article. Please be sure write an actual teaser introduction and do not just copy and paste a portion of your original article — this hurts our website’s SEO and yours. We will all benefit by having unique titles and content for your article. On the day your article goes live, please be sure to share your link at least 2-3 times on your favorite social media channels — Facebook, Twitter, Pinterest, Instagram, Periscope, etc. Our Community Manager will take care of sharing on Raising Boys Media social media platforms. STATEMENT REQUIREMENT, READ THROUGH THE EXCLUSIVE WRITING SERIES (3 ARTICLES) BELOW.. If you’re a new member of our team, we’ll need you to gather the information below so we can create your author page and article bio (used at the bottom of each article you write). For our existing team members, we update our author pages on a semi-annual basis (January and July) and will announce when you can send updated information our way! Grab one of these images to use in your blog’s sidebar — you can link it to the main website, or to your individual author page here. We love opening up our platform to share articles you’ve written on your personal blog/website with our vibrant Facebook community! Please pin any articles you’d like to have shared in our secret Pinterest board — our Community Manager will take care of adding them to the queue for The MOB Society Facebook page! If you haven’t been added already, click here to request an invite to this secret board! While we hate having to include this piece in our team information, it’s a necessary component! Please make yourself aware of the potential reasons (including habitual lateness) that can result in removal from the RBM team! Plagiarism or duplicating content without giving credit. Failure to meet writing requirements/deadlines. Our Editor-in-Chief reserves the right to terminate your position on our team if you have 2 consecutive months (or a habitual pattern) of late articles or late editorial revisions/approvals with no prior arrangements made. We will make every effort to resolve this issue and pray for the best in the situation. Failure to conduct one’s self in a professional and encouraging manner in interactions with Raising Boys Media team members or social media network may be cause for dismissal.